We love the sounds of construction here at The Divide! It means new neighbors are building their new home and joining our Civilized Wilderness community; or as in this case, it means they are expanding their current residence! This 1,272 sq. 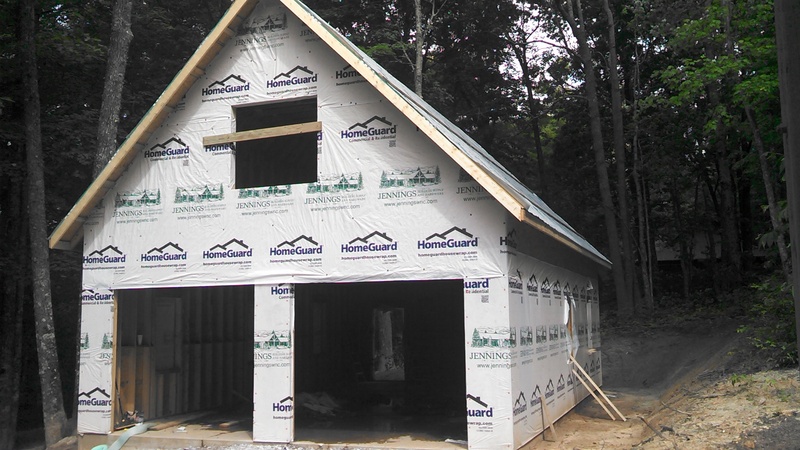 ft. garage with an upper level bonus room is currently being constructed by Westmark Construction Company of North Carolina. Imagine the possibilities a separate bonus room offers: teen game room to keep the main house quiet, a family theater room to screen the latest releases, a yoga studio where all you hear are the sounds of nature surrounding you, an art studio to capture your creativity on canvas or on a pottery wheel. The possibilities are endless!